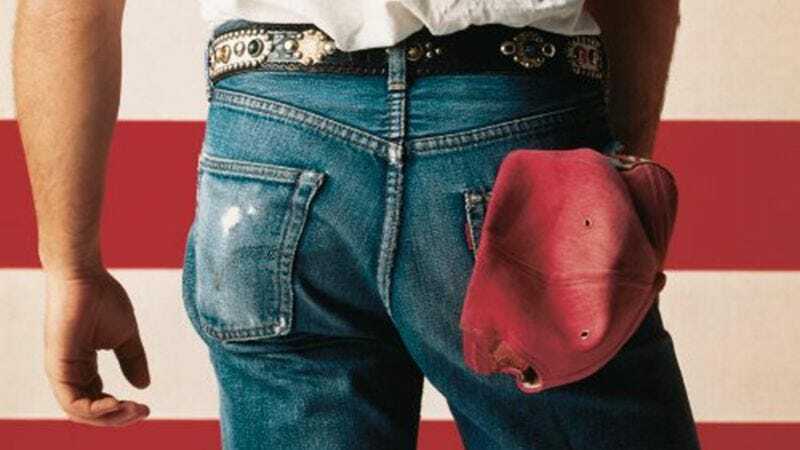 Bruce Springsteen’s chart-topping anthem has been a mainstay of Republican political campaigns since it was released in 1984, despite its very liberal author’s annoyance and the fact that its lyrics are completely anathematic to the jingoistic nationalism often spouted at such events. Well, now we’re in the never-ceasing insanity of 2016 election cycle, so up is down, cats are dogs, and Springsteen’s sweat-browed Americana is not welcome at a Donald Trump rally in Pennsylvania, as Consequence Of Sound points out. Did conservatives finally get around to listening to something beyond the chorus? Probably not. This is, in all likelihood, directly correlated to the news that the 67-year-old New Jersey native is campaigning with Hillary Clinton in Philadelphia today. Though, Springsteen calling their candidate a “moron” on Norwegian television probably didn’t help.